Blending together both Holistic Nutrition and Nutritional Psychology to help assist you in awakening your innate body wisdom and natural birthright for health, wellness, and healing. A combination of holistic wellness and mindful nutrition to help you awaken the healthiest you. Holistic Nutrition in Victoria incorporates many different approaches to health and healing by combining Western Science and Diet Therapy, with ancient healing modalities such as Ayurvedic Medicine, Food Energetics, Traditional Chinese Medicine, and Herbal Medicine along with the use of supplements when needed. 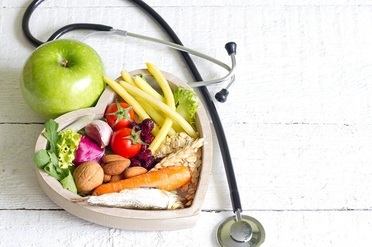 A qualified Holistic Nutritionist also has the education and training in areas such as Anatomy & Physiology, Biochemistry, Pathophysiology of Disease, and Natural Supplementation. Holistic Nutrition is centered around treating the body as a whole, addressing mind body and spirit as one on a single continuum. It places a focus on root cause resolution rather than solely treating symptoms, in order to achieve long term and sustainable well-being. For true health it is vital to address the root cause of whatever is bringing disharmony to the body, as a symptom is the body's way of attempting to achieve balance, and deserves our attention. 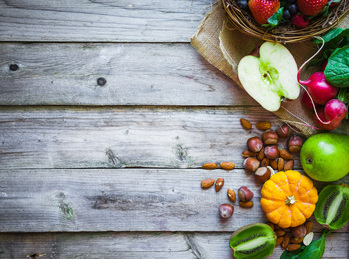 Holistic Nutrition focuses on biochemical individuality, meaning there is no “one size fits all” when it comes to health, and that each individual requires a unique and personalized approach to achieving wellness. This may include an assessment of not only what we eat and how that is serving us, but also our lifestyle, emotional and mental health, physical activity, personal story, self care practices, and unique mind-body constitution. A combination of Mind-Body Nutrition and Dynamic Eating Psychology, Nutritional Psychology is the understanding of how our mind and emotions can exert a powerful influence on our digestion, metabolism, eating habits, and nutritional status. An emphasis is placed on eating mindfully to promote optimal digestion and assimilation of nutrients, while creating a healthy relationship with food based on relaxation, pleasure, and awareness. Nutritional Psychology focuses on the profound influence that the mind has on the overall health of the body, and recognizes that what we eat is only half the story of good nutrition, the other half being who we are as eaters and how that affects our state of health. Certain Mind-Body techniques are used along with the power of relaxation to optimize digestion, metabolism, nutritional status, and healing potential. Nutritional Psychology takes into consideration that everything in a persons life may be connected to their eating challenges or health issues, and how a persons inner experience of the world may be affecting their relationship with food, body, and nourishment. It’s about acknowledging who the person is as an eater and how this affects the state of their digestion, while recognizing that each one of us has a unique relationship with food and body that needs to be honoured, respected, and nurtured. "Transform your relationship with food, body, and health"
90 minutes dedicated to you. At 60 minutes long, the follow up is a subsequent visit to the Initial visit. With this time we will catch up with how the treatment plan and recommendations are working for you, as well as adjusting, changing, and advancing protocols when needed along the way. At 30 minutes long, the follow up is a subsequent visit to the Initial visit. With this time we will catch up with how the recommendations are working for you, and change protocols when needed along the way. 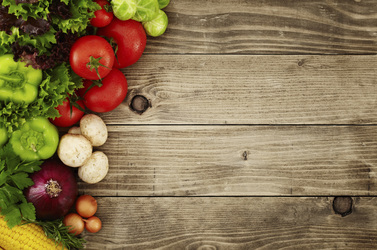 Unsure if Holistic Nutrition is right for you? Lets have a 15 minute discovery call together so I can answer any questions you might have!